The manager of the Vietnamese team competing in the Asian qualifiers for the 2019 FIFA Women’s World Cup has been condemned for showing off pictures of himself relaxing at a tourism attraction after his squad were eliminated from the tournament. Vietnam bid farewell to their dream of going to France 2019 after losing all three games in the group stage of the 2018 AFC Women's Asian Cup, running from April 6 to 20 in Jordan. As the Vietnamese women started going home on April 14, the team manager, Phan Anh Tu, posted four pictures of him leisurely chilling while surfacing afloat the Dead Sea, on his Facebook. The photos, all taken on April 14, were captioned “Fantastic Dead Sea (Jordan)." During international tournaments, Vietnam's football team are led by a manager, a liaison between the coach, players and the Vietnam Football Federation. Vietnam had targeted to make it to the fifth-placed match of the eight-team AFC Women's Asian Cup, to secure the historic World Cup ticket as one of Asia’s top five teams. The dream was shattered after Vietnam were defeated by Japan, Australia, and South Korea respectively on April 7, 10, and 13. Manager Tu did not seem to let this failure ruin his time in Jordan. Shortly after posting the controversial photos on his Facebook page, Tu has triggered angry reactions from fans and social network users, who criticized that he is unfit for the position. Tu fought back by saying that he had not gone anywhere for a change of air while the team were competing in the group stage in Jordan. The Vietnamese women boarded their flight home at 3:10 pm on April 14, earlier than Tu and several other officials, so they had some free time to spare, he said. Tu even urged the angry public to sympathize with him and his “personal life,” saying there was nothing wrong with taking a tour around the Jordanian capital of Amman and visiting the Dead Sea, when he had “fulfilled [his] responsibility” at the event. However, he admitted that posting photos of the trip on Facebook and made them known to the public was unbecoming, and eventually deleted all the photos. 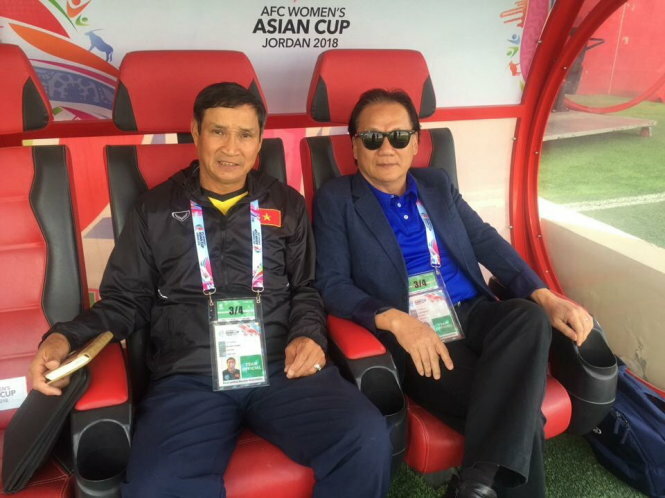 Commenting on Vietnam’s losing run at the Jordan tournament, Tu said it is understandable when Vietnam had to face formidable opponents.